New Delhi : Home Minister Rajnath Singh will travel to China today and extend bilateral talks with Chinese counterpart on a one-on-one basis. This visit comes after gap of over a decade, the time frame when an Indian Home Minister had visited China for discussing security agenda and strengthening border ties between the two nations. A major initiative by the Modi-led NDA’s Union government, this visit by Home Minister is being seen from the lens of relief measure regarding security matters, as well as an extension of recent talks between Defence Minister Manohar Parrikar and General Fan Changlong, the Vice Chairman of China’s Central Military Commission (CMC), who visited India — wherein both countries agreed to implement consensus reached between Prime Minister Narendra Modi and Chinese President Xi Jinping to ensure peace and tranquility along the border. Rajnath Singh is leaving for China with a focused security cooperation on his agenda, while discussing with the Chinese representatives. 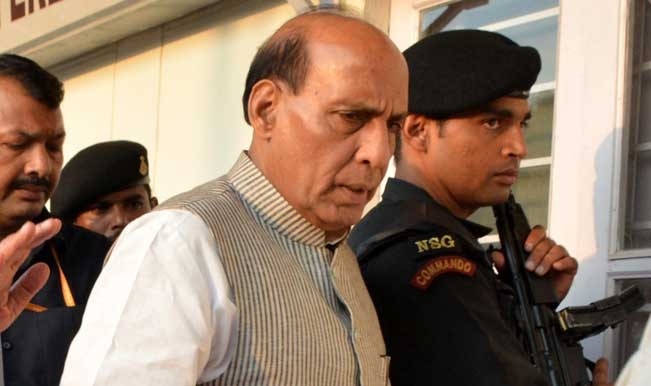 In his first trip by an Indian Home Minister to the country in a decade, Rajnath Singh would be discussing ways to boost security ties and tightening the noose around the act of smuggling of arms to Northeast militants. His tour is expected to last for almost a week, six days to be precise, during which the Home Minister is expected to spend three days in Beijing and the next three days in Shanghai. His six-day visit comes in the backdrop of steady improvement of relations between the two countries while streamlining mechanisms to address the over-pending border dispute. During his visit, besides holding talks with his counterparts in China’s political dispensation, Singh is also expected to call on Chinese President Xi Jinping and Prime Minister Li Keqiang. Coming back-to-back with the recent visit of China’s topmost military official to India, Rajnath Singh has expressed keen objective to further strengthen the bilateral ties and attend to matters falling under his ministry. In his exact words — I am looking forward to my visit to China. Hope it would help in deepening of mutual understanding and trust. During my China visit I intend to further strengthen the tradition of mutual learning and better understanding from each other.